One of the root causes of the problem of underage drinking and driving, is underage access to alcohol. A recent study found that one in five underage college students used or owned a fake ID, commonly to purchase alcohol. (Source: http://www.psmag.com/culture-society/underage-drinkers-and-the-fake-id-11158/) For restaurants, bars and liquor stores that are proximate to (or in) college towns, family vacation spots, or other high traffic areas for minors, having adequate tools to clearly verify the legitimacy of ID cards is0 imperative. • Portable (can fit a pocket, apron, or wherever it’s needed) • Modestly priced enough to have a copy at all entrances or counter areas • Ideal for follow-up review of "fakes" where scanners give no information • Recommended by most ABCs for training and on-premise protection of your establishment • A visual check of the license with the I.D. 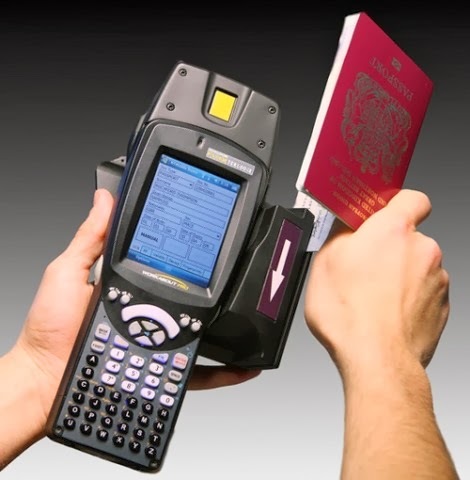 Checking Guide may detect barcode fraud that a scanner misses If a business opts to use a scanner, as an initial check, it is highly advisable that they also properly train all relevant personnel on the use of ID Guides and establish using them as a “best practice” for final confirmation. Dana Lander is the author of this blog post about ID scanners. She is an IT security manager and has worked with various companies to work on a program to help employers and business owners to check id card details. Feel free to connect with her via Google+ for questions.